Mommy and me in Leopard print today. 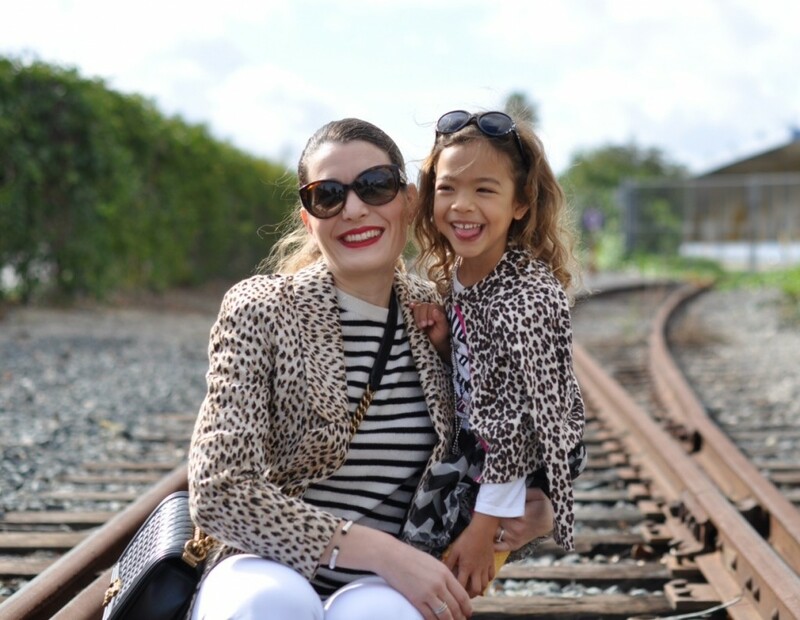 Tutu and I both have a love of pattern mixing and when I suggested we wear a little bit of leopard she chose chevron print and I chose stripes to pair with it. This beautiful girl of mine suprises me everyday. 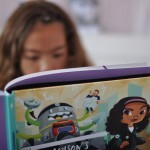 She is so funny, brave, smart, independent and kindhearted. There is always an adventure around the corner and each day I wait for the moment that once again she has inspired and amazed me. I like you happiness photo. 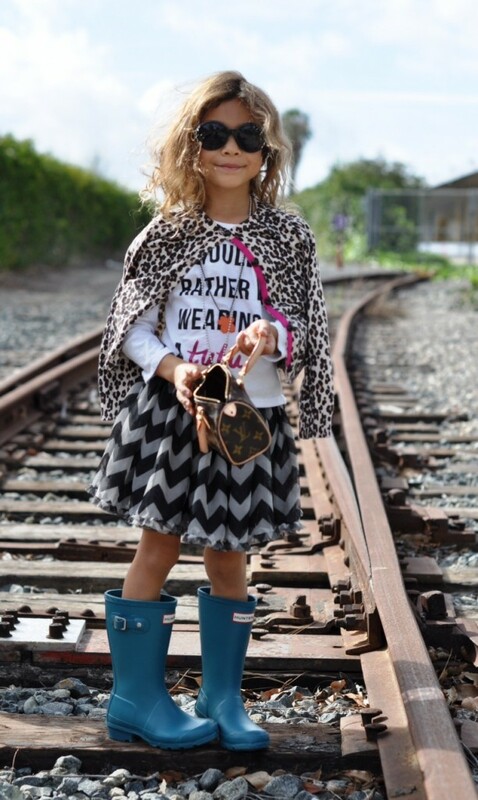 your daughter is so adorable, love her blue boots! I’m a huge fan of leopard and print mixing. You daughter is adorable! Lovely photos! Your little one is such a cute fashionista. Super cute pictures of both of you. love your outfit! perfect! those shoes are to die for! Such a cute post!!! Adorable! o-em-gee…this is too cute!! 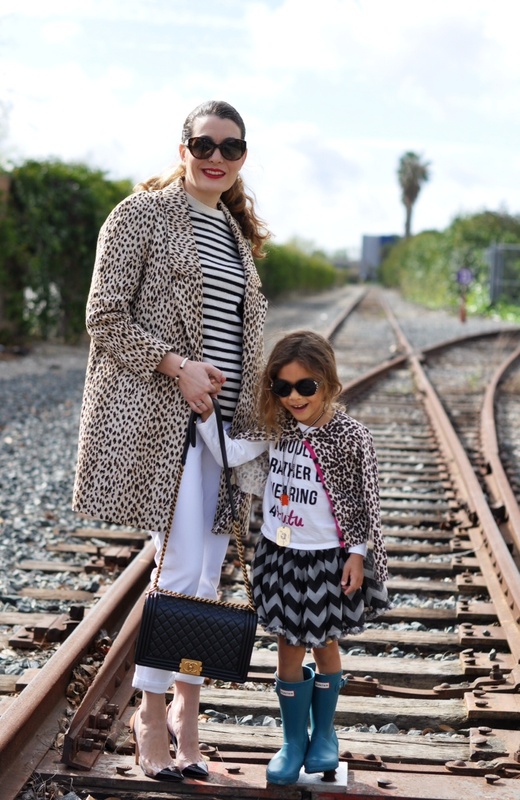 Great styles for both mommy and daughter! I can’t wait for my baby girl to grow up so I can dress up with her.